You can apply for our 1 & 2 Year Diploma Courses as well as any of our Short Courses directly via our website. Please note: you will be asked to pay the relevant fee as well as submit a photo with your application. 1. The photo should be of your head and shoulders only. 2. The photo should be well lit with nothing obscuring your face. 3. File size between 200KB and 1MB. 5. PLEASE CROP to approximately 400 pixels wide by 500 pixels high. 6. Save your file using your FULL NAME as the title. If you have already applied in a previous year we can save you the trouble of having to fill in our application form again. Please just contact us and we can transfer your application. You must apply for our BA course through UCAS. Once we receive your application you will be sent a link to fill in an additional application form with extra details. It is at this point that you will be requested to pay your audition fee. Please note: you will not be contacted and booked for an audition unless you fill in the additional application form and pay the audition fee. 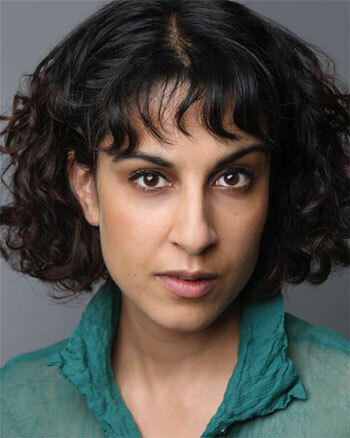 A versatile performer across all mediums including stage (The National Theatre), screen (BBC and Channel 4), voice over, radio drama and comedy improv.